MYRTLE in a fantastic slate blue is an exclusive, hand-tufted rya rug. Its timeless design and subtle pattern will bring a chic urban vibe to your home. 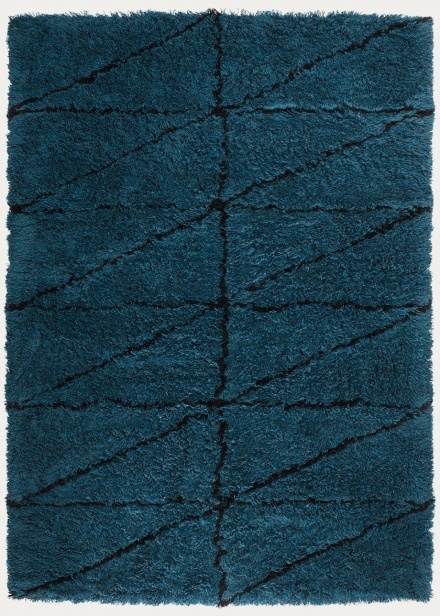 The rug is made of high-quality wool and has a dense 3 cm pile. It offers lovely support to cold, tired feet, and is ideal for bringing a snug and cosy feel to living rooms and bedrooms. Behind this rug lies true artisanship by skilled and experienced artisans in India. This makes MYRTLE a durable, long-lasting rug.